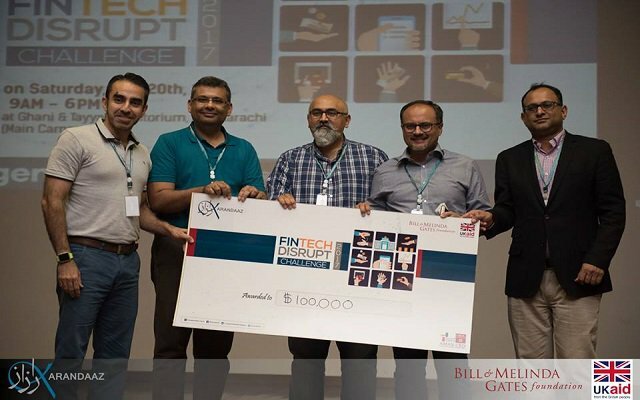 ‘CreditFix’ wins Karandaaz Pakistan FinTech Disrupt Challenge 2017. Pakistan’s top agency for promotion of financial inclusion, Karandaaz Pakistan announced ‘CreditFix’ the winner of its Fintech Disrupt Challenge 2017 after a close competition between extraordinary startups at the Institute of Business Administration (IBA), Karachi. CreditFix, founded by Owais Zaidi will receive up to $100,000 in funding whereas the three runner-ups, ‘Invoice Wakalah’, ‘UniKrew’ and ‘Agrigate’ will receive up to $20,000 each. Director– Institute of Business Administration, Dr. Farrukh Iqbal and Entrepreneur in Residence from Caribou Digital & DFS Labs, Ben Lyon also shared their thoughts with the audience. The company extends financial and technical support to financial technology starts ups which showcase substantial potential to create value for the society.